The beaches in this coastal city are beautiful but deadly. After years of living and working all over Latin America, I had learned that the locals’ comprehension—and even appreciation—of absurdity is one of the few constants across diverse cultures. But nowhere crystalized this absurdity so perfectly for me as Recife, Brazil. When I first arrived in Recife to plan a summer travel program for American students, I went for a walk on Boa Viagem, a beach of fine, pale sand and rolling waves. It seemed deserted, except for a few young men wearing jeans and sneakers and lounging around, drinking beer. Soon I understood why: swimming off Recife’s shores is strongly discouraged. Recife’s frequency of fatal shark attacks is one of the highest in the world. Since 1992, sharks have attacked 59 people in the area; 40 percent of the victims died. There are many reasons for the attacks, but disrupted habitat is the major one. Mangroves filter water from the rivers around which Recife is built, but they have been cut gradually since the 1500s, so more and more polluted water has flowed into the Atlantic—particularly in the 20th and 21st centuries. The pollution is thought to attract sharks and kill shark prey. Development has also disrupted the surrounding reef ecosystem—attacks spiked after the nearby Port of Suape started working at full capacity in 1992. As the city has grown over centuries, first for settlements and then for tourism, the people of Recife have developed and manicured their beautiful beaches yet, absurdly, rendered them useless for swimming. By the time I visited Recife, I was well versed in Latin America’s paradoxes. I met Costa Rican coffee growers who couldn’t afford their own crop and drank instant coffee instead. Living in Peru, I learned that the government hired hundreds of female traffic cops thinking they would be less corrupt than men—but drivers simply ran over the women. Latin Americans try to laugh at these ironies. Otherwise, they’ll cry. But in Recife, locals aren’t laughing. Frustrated by the attacks, they’re building underwater nets and lines and educating beachgoers with a person dressed in a shark costume. Above all others, Recife’s shark-ridden beaches struck me as the most darkly poignant example of the irony woven through the Latin American identity. But it also showed me the relentless optimism particular to Brazil: our predecessors might have made things bad, but we are the ones to fix them. 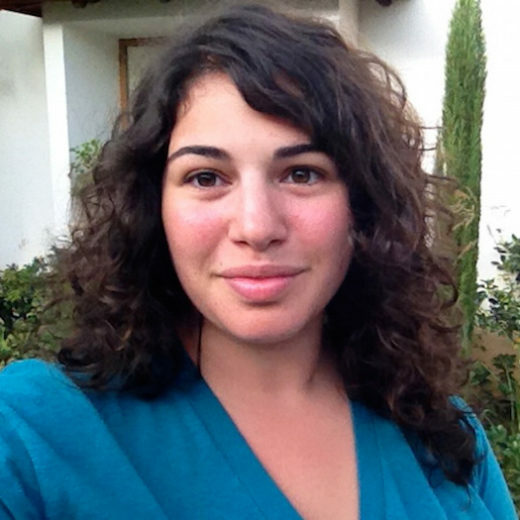 Alexandra (Alex) Ossola is a freelance science writer based in New York City. She is a regular contributor to Popular Science, and her work has appeared in The Atlantic, Motherboard, Audubon Magazine, The Verge, and Fast Company. Cite this Article: Alexandra Ossola “The Irony of Recife, Brazil,” Hakai Magazine, May 25, 2015, accessed April 26th, 2019, https://www.hakaimagazine.com/article-short/irony-recife-brazil/. South African seals are feasting on blue sharks.